"You can see in his eyes how thankful he is to be rescued." 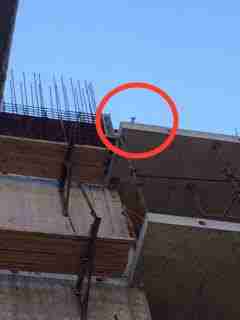 For days, no one noticed the tiny kitten stuck on the 12th level of a construction site in Beirut, Lebanon. Or, if they did notice, they didn’t bother to help. But the kitten never stopped crying. He meowed so much, his voice was nothing but a croak by the time help finally arrived. The construction site, which would eventually become a new high-rise apartment building, had a few construction workers as well as a building representative wandering around. But it was someone who lived in the building next door who eventually called Animals Lebanon and told them about the kitten in distress. 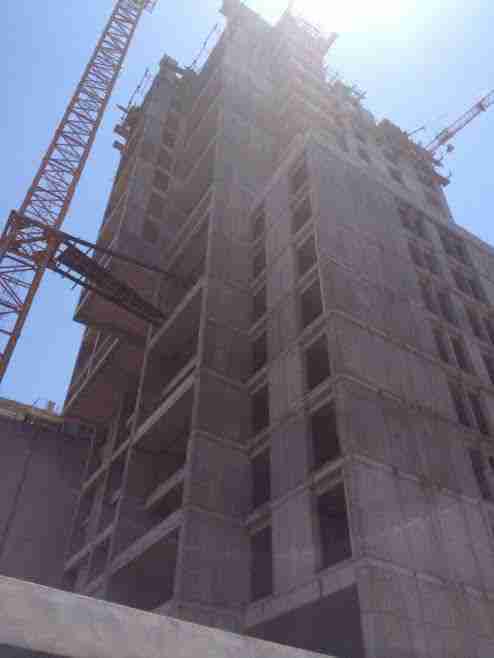 How the kitten got on the 12th floor of the construction site remains a mystery, but Shaarawi has her suspicions. 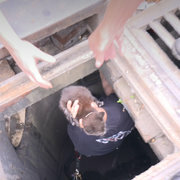 To catch the kitten, volunteers climbed up to where the cat was, and set up a humane trap with a dish of tuna inside. 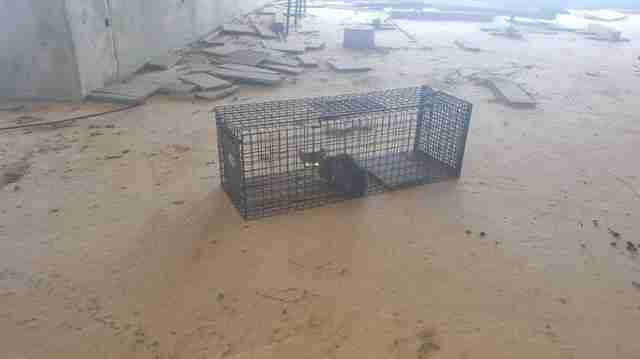 But the kitten was so scared, it took him 18 hours to finally go into the trap, according to Shaarawi. 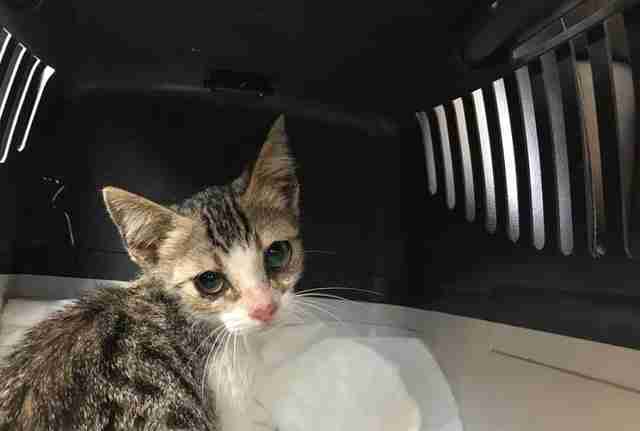 The kitten was understandably dehydrated and hungry, and he was also suffering from a bad flu. Now that he was rescued, he could finally get the care he needed. Unfortunately, this kitten’s situation is far from unique. In Lebanon, there are thousands of stray cats and dogs, and very few people and organizations helping them. “I can’t quantify a number for you, but I can say that we have a real problem with cats on the streets because we don’t have any major spay or neuter campaigns,” Shaarawi said. To stymie the stray animal populations, the Lebanese government has been known to poison them. But it’s not just strays who have been affected by the poison — many pets have been poisoned as well. Shaarawi and the others at Animals Lebanon vehemently disagree with the poisoning, but they struggle to care for the animals they rescue. But the kitten on the roof is one of the lucky ones — not only was he rescued, but he also got a foster home. And a name. His foster family is calling him Squeaky, probably because of his hoarse, funny-sounding meow. To help Squeaky get better and find the forever home he deserves, you can make a donation to Animals Lebanon. 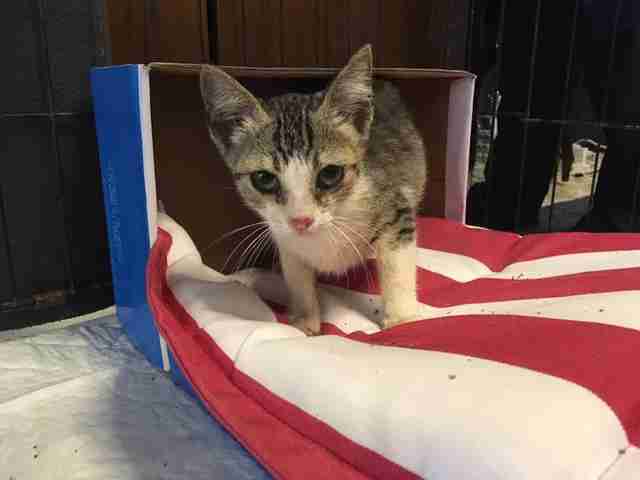 The organization also coordinates international adoptions, so if you’re interested in adopting Squeaky, you can get in touch.